Faites l'expérience des mathématiques dans notre environnement avec MCM. ... ou sans notre application qui procure évaluations et indices. Gurjanow, I., Oliveira, M., Zender, J., Santos, P. A., & Ludwig, M. (2019). Shallow and deep gamification in mathematics trails. In M. Gentile, M. Allegra & H. Söbke (Eds. ), Games and learning Alliance - 2019: 7th International conference, GALA 2018, Palermo, Italy, December 5-7, 2018, Proceedings, pp. 364-374. Springer International Publishing. 马蒂亚斯·路德维希（Matthias Ludwig）, 延斯·耶斯贝格（Jens Jesberg）, 大卫·魏斯（David Weiß）(2013). Jablonski, S., Ludwig, M., Zender, J. (2018). Task Quality vs. Task Quantity. A dialog-based review system to ensure a certain quality of tasks in the MathCityMap web community. In: H.-G. Weigand, A. Clark-Wilson, A. Donevska-Todorova, E. Faggiano, N. Grønbæk & J. Trgalova (Eds.). Proceedings of the Fifth ERME Topic Conference (ETC 5) on Mathematics Education in the Digital Age (MEDA) 5-7 September 2018, Copenhagen, Denmark, S. 115-122. Gurjanow, I. & Ludwig, M. (2017). 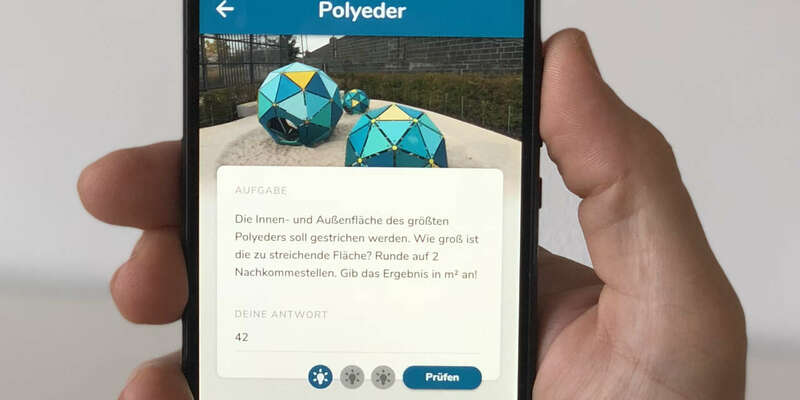 Einfluss von Gamification auf die intrinsische Motivation am Beispiel der MathCityMap-App. Präsentiert auf der 51. Jahrestagung der Gesellschaft für Didaktik der Mathematik (GDM 51), Potsdam, Deutschland, 26.02-03.03.2017. Gurjanow, I. & Ludwig, M. (2017). Gamifiying math trails with the MathCityMap app: Impact of points and leaderboard on intrinsic motivation. In: Aldon, G. & Trgalova, J. (Eds. ): Proceedings of the 13th International Conference on Technology in Mathematics Teaching (ICTMT 13), pp. 105-112, Lyon, France, 2017. Gurjanow, I., Ludwig, M. & Zender, J. (2016). 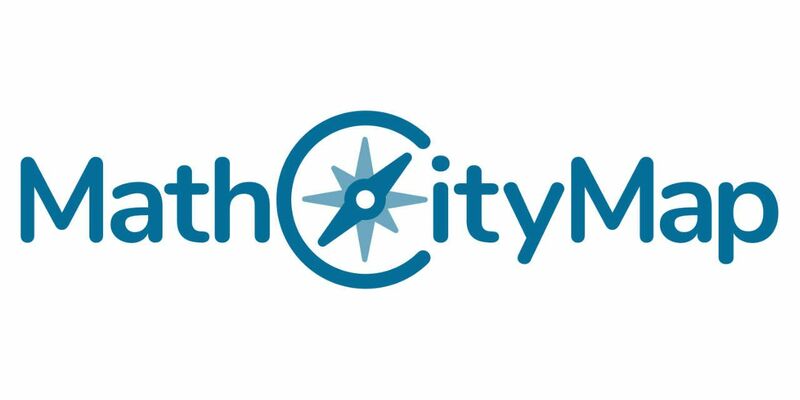 Why do in-service teachers and student teachers use MathCityMap and why don't - A short survey on acceptance and user behavior of MathCityMap. Accepted to be presented at 10th Congress of European Research in Mathematics Education (CERME 10), Dublin (Ireland), 01-05 February 2017. Cahyono, A. N. & Ludwig, M (2016). Examining motivation in mobile app-supported math trail environments. Accepted to be presented at 10th Congress of European Research in Mathematics Education (CERME 10), Dublin (Ireland), 01-05 February 2017. Zender, J. & Ludwig, M. (2016). 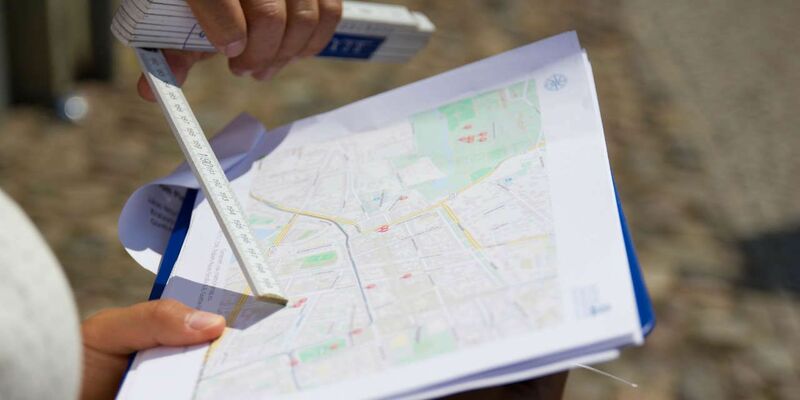 MATHCITYMAP (MCM): FROM PAPER TO SMARTPHONE – A NEW APPROACH OF AN OLD CONCEPT –. Presented at 13th International Congress on Mathematics Education (ICME-13), Hamburg (Germany), 24-31 July 2016. Gurjanow, I. & Ludwig, M. (2016). USING THE MATHCITYMAP-APP TO EXAMINE THE IMPACT OF GAMIFICATION ON INTRINSIC MOTIVATION. Presented at 13th International Congress on Mathematics Education (ICME-13), Hamburg (Germany), 24-31 July 2016. Cahyono, A. N. & Ludwig, M (2016). 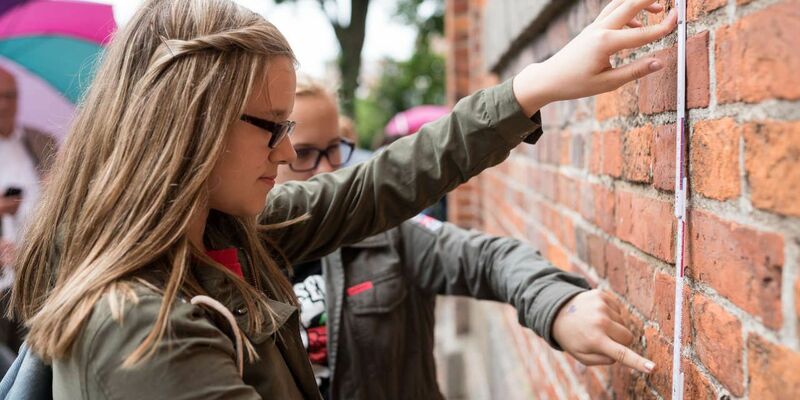 MathCityMap: Exploring mathematics around the city. Presented at 13th International Congress on Mathematics Education (ICME-13), Hamburg (Germany), 24-31 July 2016. Cahyono, A. N. & Ludwig, M. (2014). Designing of The MathCityMap-Project for Indonesia. In Oesterle, S., Nicol, C., Liljedahl, P., & Allan, D. (Eds.). Proceedings of the 38th Conference of the International Group for the Psychology of Mathematics Education and the 36th Conference of the North American Chapter of the Psychology of Mathematics Education, Vol. 6, p. 33. Vancouver, Canada: PME. Ce site internet conserve des "cookies" sur votre navigateur pour vous garantir une expérience utilisateur personnalisée et intéressante. De plus, en accord avec les lois européennes sur la protection des données, nous collectons des statistiques d'usage pendant votre visite. Nous permettez-vous de collecter ces données?